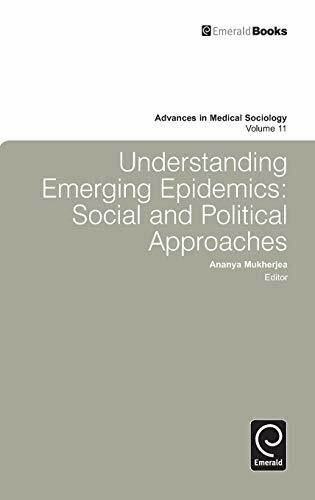 This volume focuses on the contributions that social scientists can make to understanding emerging epidemics, their impact, the threats they pose, and their social and political contexts. While many of the international articles focus on infectious disease, some discussion is given to treating psychiatric epidemics and the analysis of the political and cultural meanings that epidemics have. A sociological volume on emerging epidemics, covering psychiatric or psychological diseases as well as infectious disease is long overdue and topics included here are as wide ranging as: bipolar disorder; obesity; malaria; HIV/AIDS; SARS; West Nile Virus; pandemic influenzas; deviance; depression; ADHD; Alzheimer's; and autism. This valuable reference tool empirically examines emerging epidemics themselves and offers a theoretical analysis of the use of epidemics and epidemiology as frameworks for understanding these phenomena. It will appeal to a broad audience of readers of researchers and practitioners in this field, ranging from those involved in public health policy, human security and community health to medical sociologists and other scientists working in health and medicine.